After Tiger’s latest withdrawal, it seemed clear to many golf fans that we might never see him on the course in anger again. Honestly, given his health struggles over the last couple of years, this hasn’t come as a major shock to the golfing world, but it is certainly a regret to think that the days of other players watching Tiger with awe are finally over. The big question on many people’s lips was “What next?” Well that question seems to have been answered too with his confirmation of a transition into the business world. His recent press conference to announce the creation of TGR, his new company, with himself at the helm as Chairman, confirms many of the rumours that have been flying around for quite a while. This transition should hardly come as a surprise, both when considering Tiger’s own career to date and also looking at the transition that many other high-profile names have taken after their time on the course comes to an end. Of course, nobody has ever been quite as high profile as Tiger, but the two who have come close would be Jack Nicklaus and the recently deceased Arnold Palmer. Both of these legends on the course created empires off it, albeit whilst remaining in the golfing sphere. While both dabbled at various times in golf equipment, something which apparently might be on Tiger’s agenda, it was through course design and other related products that Jack and Arnold really had huge success. Will Woods follow a similar path or will TGR look at wider-ranging (and less golf-centered) business activities? For the moment, it is hard to say. The were some fairly strong noises in the golf industry about a buy-out of Taylormade as Adidas looks to sell off it off. It would certainly be interesting to see what Tiger would do with it. golf club design and manufacturer is a tough nut to crack currently, with Nike leaving the equipment sphere to concentrate on soft goods and the Taylormade sale. One example of a company trying to break into the industry would be PXG, run by the millions of businessman Bob Parsons. Whilst it is probable that PXG is currently running at a comfortable loss, Parsons has deep pockets and can afford to play a longer-term strategy. 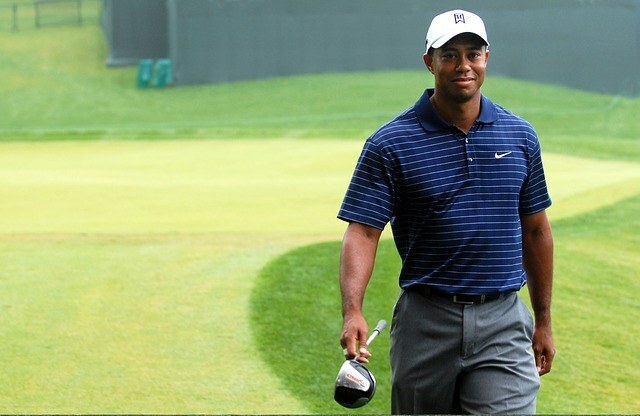 Woods undoubtedly has the same financial muscle and could certainly choose to follow the same route if he so chooses. The question is, will he? There have been a few points raised about his ability to manage a company. After all he is ‘only’ a golfer, right? To me, these questions seems to fly in the face of everything he has shown in his career. For an example of single-minded drive, you would be hard-pressed to find anyone better. As for financial acumen, can anyone really imagine Tiger not surrounding himself with a team of experts? Perhaps people also forget just how he has earned his money so far too. Sure, he has earned a fortune on the course, but this pales into insignificance when set next to the hundreds of millions he has accumulated off it. Ok, he has been surrounded by a team of agents and managers, but once again, let’s not forget who we are talking about here. This is someone who has always been very clear-mined in what he wants. The most obvious example of this is how he has put sentiment aside in his game. Things don’t work? Get a new swing coach without a second thought. And nobody could accuse him of not working hard! In fact, TGR is really nothing more that a streamlining of all Tiger’s off-course interests into one company. Whilst the details given at the press conference were vague (with promises of more announcements to come over the following months,) for all intents and purposes, Tiger IS already the president of his own business empire. He certainly hasn’t ruled out a return to the course at some point, saying he is ‘looking forward to returning to the sport he loves.’ However, how many golf fans can imagine Tiger being satisfied with missing cuts, getting out driven by half the field or making a living as a journeyman pro? Thought not. Clearly, despite his world ranking slipping past 800 after more than a year of inactivity, he would still be a huge draw and sponsors would be happy to give him exemptions. But if he were unable to compete for the win, it seems unlikely he would take them up on it for long, hence this decision to channel his energy into his business interests. Of course, with Tiger, you never really know. I for one, wouldn’t put it past him to come out and win a tournament again. I think Jack’s record is safe, but when you look at how many times he has come back already when the naysayers have him dead and buried, it just makes me think that he would love to see people eat their words one more time. How much more satisfying would this be after declaring publicly hat his future lies more in off the course activities than on? The Best Golfer in the World in 2017? New Golf Rules Proposal-Common Sense or Changing the Game? Minimalist Golf:Less is the New More? The End of the Golf Equipment Industry?